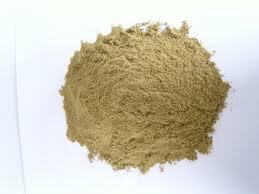 Coriander-cumin seeds powder, as the name suggests is the ground form of the two seeds. Commonly, it is prepared by buying the whole seeds, toasting them slightly in a pan, and grinding in a mortal-pestle or electric grinder. However, it is also readily available in supermarkets. The powder tends to lose its flavour and aroma soon, so it is better to grind as and when needed. Coriander-cumin seeds powder has a pleasant aroma and flavour that enhances many Indian dishes, especially vegetable preparations, savouries and snacks. • It is advisable to buy whole coriander as well as cumin seeds rather than purchasing the readymade powder since the latter loses its flavour more quickly. • If buying readymade powder, check the seal of the package and the use-by date. • It is commonly used to flavour savoury dishes, salads, buttermilk, etc. • It is an essential ingredient of many curries and gravies as it has a mild aroma that kindles the appetite. • Put toasted coriander and cumin seeds in a pepper mill and keep on the dinner table so that you and your family can use it at any time. • It is an important ingredient in flavouring pickles, curries and chutneys. • Coriander-cumin seeds powder should be kept in an opaque, tightly sealed glass container in a cool, dark and dry place. • Place a piece of asafoetida in the container to prevent any kind of spoilage. • It will keep for about four to six months, but will lose its flavour and aroma over time. So, it is better to prepare and keep small stocks of the powder. • Coriander-cumin seeds powder taken in combination with a pinch of asafoetida and rock salt is considered an aid to the digestive system. It also relieves you from any kind of gastric pain or flatulence.